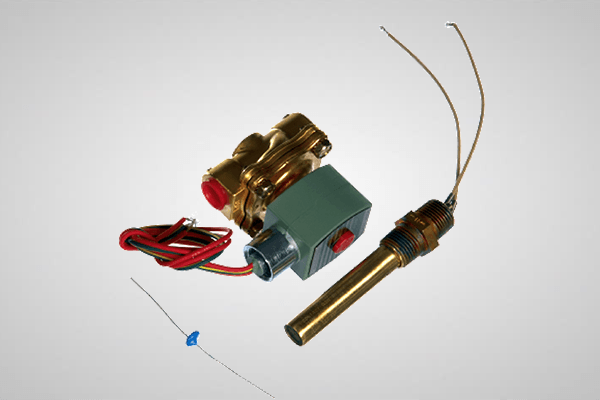 This kit comes complete with a solenoid valve, thermostat, and a resistor. The resistor is included should you encounter rapid temperature fluctuations in the control panel causing the solenoid to cycle on and off too quickly (chattering). The resistor is installed (if needed) across the leads of the thermostat and prevents chattering by dampening the thermo switch sensitivity.